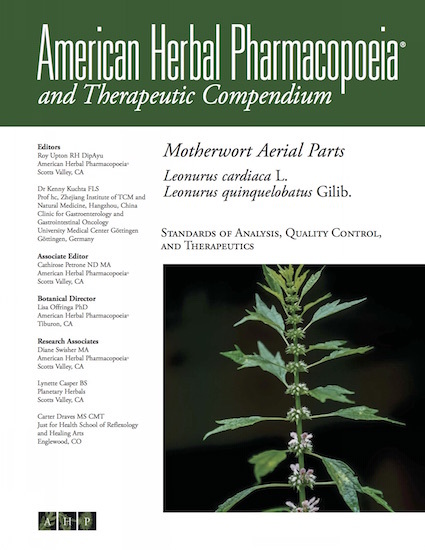 Historically, motherwort (Leonurus cardiaca, L. quinquelobatus) was one of the most widely used botanicals for supporting a healthy cardiovascular system and is far underutilized in the natural products industry. It was considered indispensable for relieving cardiac palpitations and figures prominently in the practice of modern medical herbalists for relieving anxiety from a variety of reasons, most notably during menopause. Modern research demonstrates mild negative chronotropic, antihypertensive, and heart strengthening effects; uterotonic, neuroprotective, and sedative activities; benefits for menopausal symptoms and amenorrhea; and spasmolytic effects on the gastrointestinal tract.